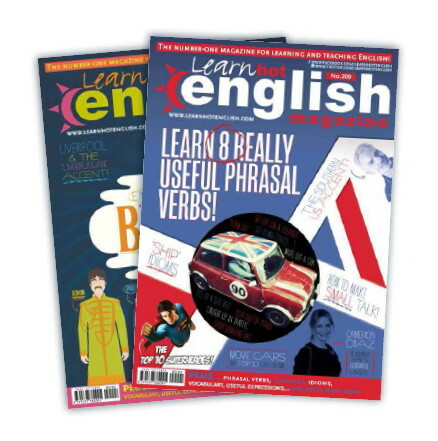 Here are our top six reasons why you can learn so much with Not English magazine. There's a simple formula for learning a language that goes like this: input + practice = language acquisition. Very basically, "input" refers to the things you read, watch or listen to in English. And practice refers to what you do when you speak or write in English. It's that simple! It's what children do when they learn their first language.They're exposed to language, they practise it and then they learn it... without making any conscious effort to study. 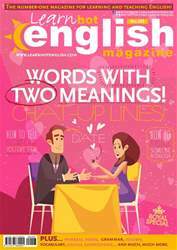 Hot English magazine provides you with all the valuable language input you need. And best of all, the language has been carefully selected to provide you with the most useful words and expressions.